Water under the bridge, as they say, and I might as well get on with the review of Chanel Coco Eau de Parfum as is sold today. The fragrance notes (as listed on Fragrantica) include: top notes of coriander, mandarin orange, peach, jasmine and bulgarian rose; middle notes of mimosa, cloves, orange blossom, clover and rose; and base notes of labdanum, amber, sandalwood, tonka bean, opoponax, civet and vanilla. On me, the perfume starts off as a citrusy floral fragrance that is tempered with the warm amber notes. I get a hint of sweetness as it dries down, but overall this perfume definitely goes on more warm and creamy than sweet. 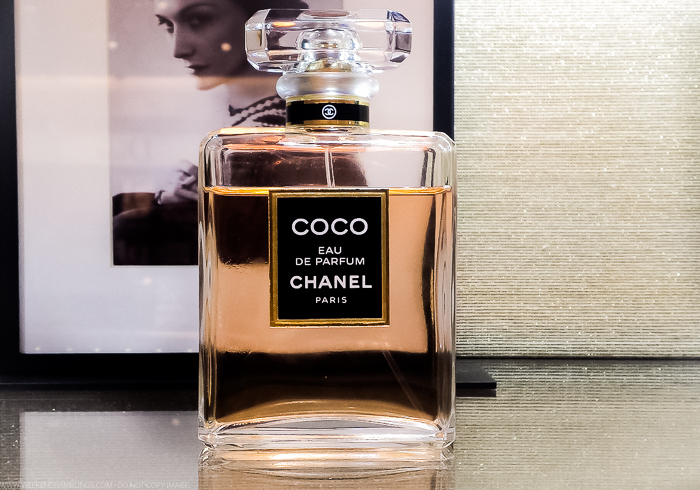 Like most Chanel perfumes I have tried so far, I find Chanel Coco Eau de Parfum a mature perfume with a sophisticated, classy allure to it. It's a strong perfume and lasts the whole day on me. The warm creaminess of this perfume makes this a perfect fall/winter-evening fragrance for me.